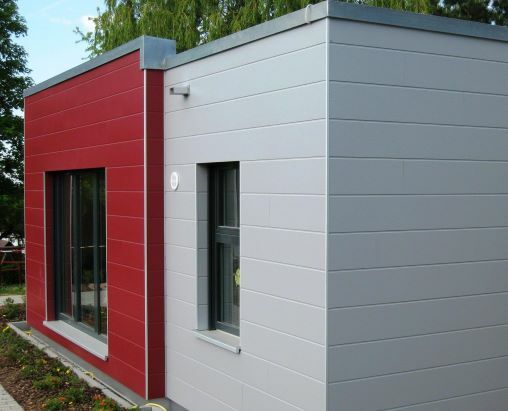 The Rockpanel Lines² 8mm and 10mm tongue-and-groove panels, with the exception of the basic and natural range, are surface treated with a two-layer water-based coating on one side, in a range of colours. This range of boards gives you’re the freedom to work your vision into a reality and is a perfect long lasting, low maintenance replacement for wooden tongue and groove. The Rockpanel Lines² tongue and groove panelling extends on the traditional concept, where different widths can be used to create an interplay of lines on any residential, commercial or practical applications.